The birth of a new form of dance! During the renaissance period, in the noble courts and houses of Italy, a new form of dance was born. Aristocrats of this this era were known for hosting elaborate parties to "best” others of the same elevated social status. As a new form of entertainment, a group of these nobles would have their subjects preform a dance mimicking the popular sport of fencing. 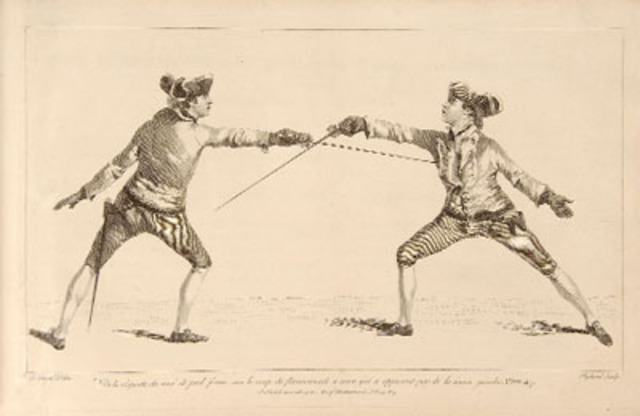 This new form of dance imitated the lunges and smooth, graceful, movements of "sword dancing". 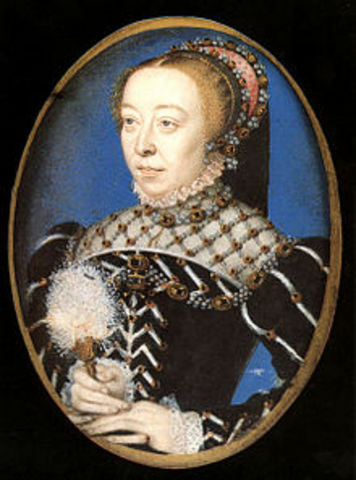 In the mid 1500's Italian noble woman, Catherine de' Medici, was crowned queen of France. Balthasar de Beaujoyeux, one of the queen's court musicians/composers, began to create a ballet for her enjoyment. 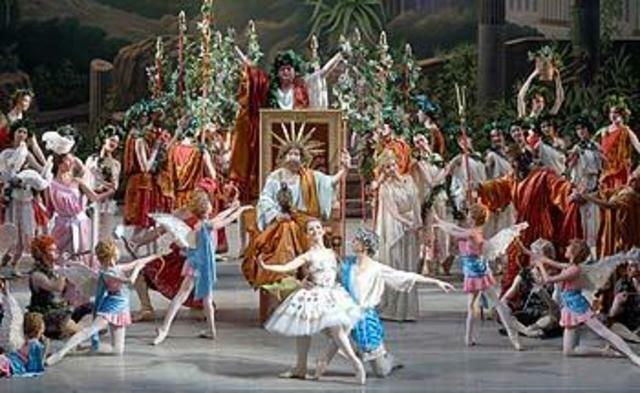 It was named "Le Ballet comique de la Reine" and was performed by dancers, singers, and an orchestra and the piece lasted for over five hours! It is considered to be the first ballet ever written. 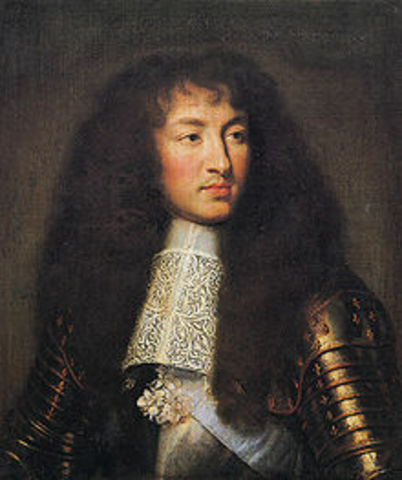 After a period of lack of interest in the art, Louis XIV rekindles the love of ballet in France by creating a dance school where dancers train to perform in his court. in 1670,Pierre Beauchamps creates the 5 ballet positions that are still being used today! ballet dancer, Marie Salle. It was a long, light weight flowing robe that was greatly inspired by the ancient Greeks. After this large change in the costumes of the dance, ballerina Marie Camargo, started to take the costume revaluation even farther by adapting her costumes so that the lines of her arch and ankles were visible and sporting tights that clung to her leg shape. Marie Camargo, is also accredited with the invention of the ballet slipper. In the mid-17th century choreographer Jean-Georges Noverre wrote about his efforts to expand ballet into a form of art that used physical expression and bodies to tell a story. Unlike the earlier ballets which used masks to portray emotion, his style of choreograph y encouraged dancers to use only their faces and bodies to convey the story they were telling. The invention of the pointe shoe was influenced greatly by the romantic time period. 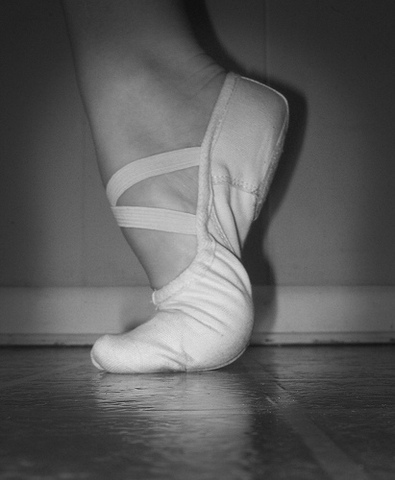 The en pointe position was created to give female ballerinas the appearance of an angelically floating across the stage. With the invention of the pointe shoe also came the creation of the prima ballerina. In the early 20th century many dance critics started to question the trauma caused to balleninas bodies because fo prolonged pereods of dancing en pointe. Companies started to shift towards the new form of "barefoot ballet". To many, this was concidered the creation of contemporary dance. In 1948 George Balanchine co-founded one of the most famous ballet company’s ever, the New York City Ballet. Ballet has evolved over hundreds of years to become the graceful, wonderful art that it is today. Ballet has evolved to the point where it incorporates diversities in dancers that add to its beauty.